With Coachella only a few weeks out, daydreams of palm trees and Drake sing-alongs are interrupting our workflow on the reg. And, you better believe that outfit plotting is already in motion, especially since we caught sight of the H&M Loves Coachella collection. 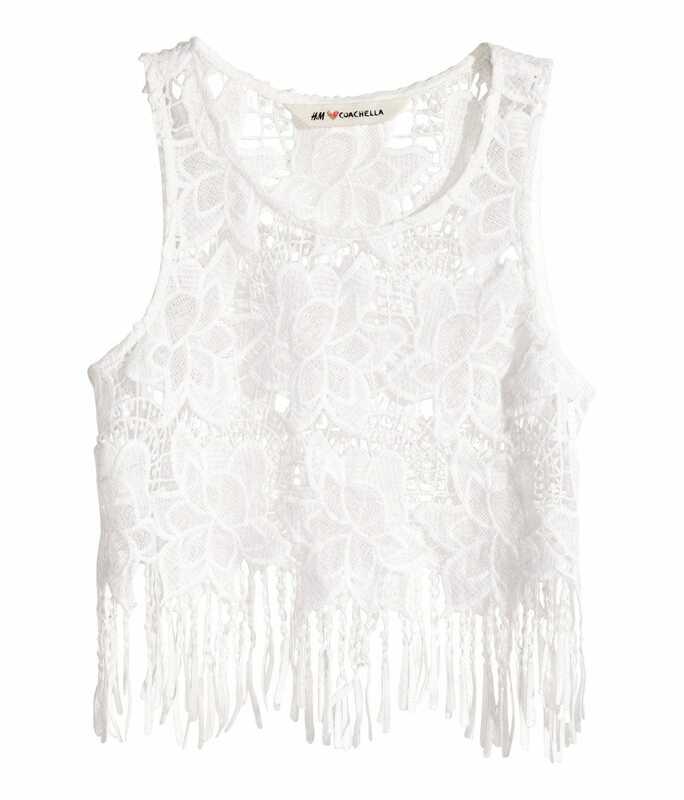 Indio mainstays like fringe and lace got a polished, fashion-girl-worthy treatment that will see you way beyond the festival grounds. We're talking printed playsuits with '70s-meets-2015 arm fringe, breathable crochet and lace dresses, and peekaboo crop tops in an easy black-and-white palette (with special appearances from a killer shade of coral). 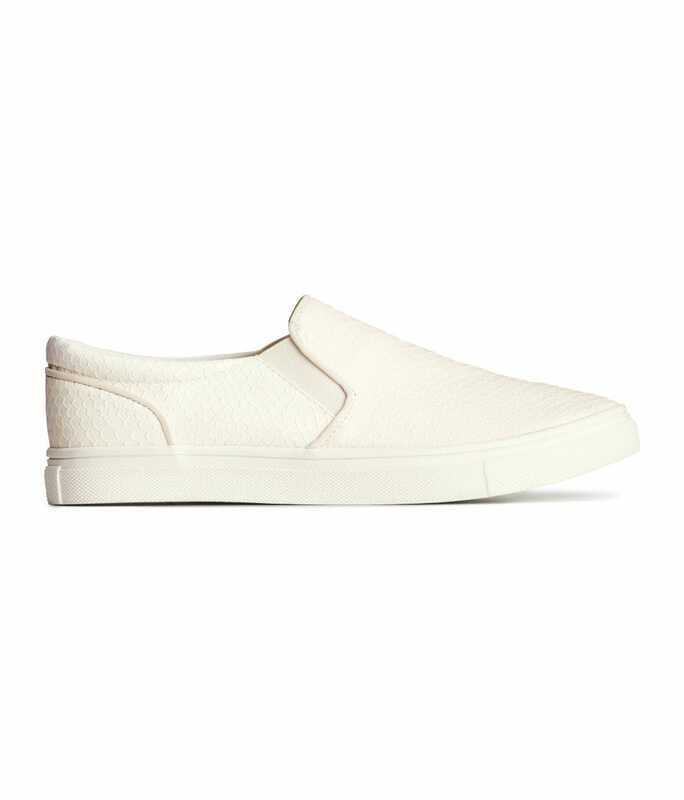 Wear 'em as you dance along to FKA twigs and Kaskade, then again on spring Saturdays in the park. Just don't be surprised when the street style paps can't get enough of your look. 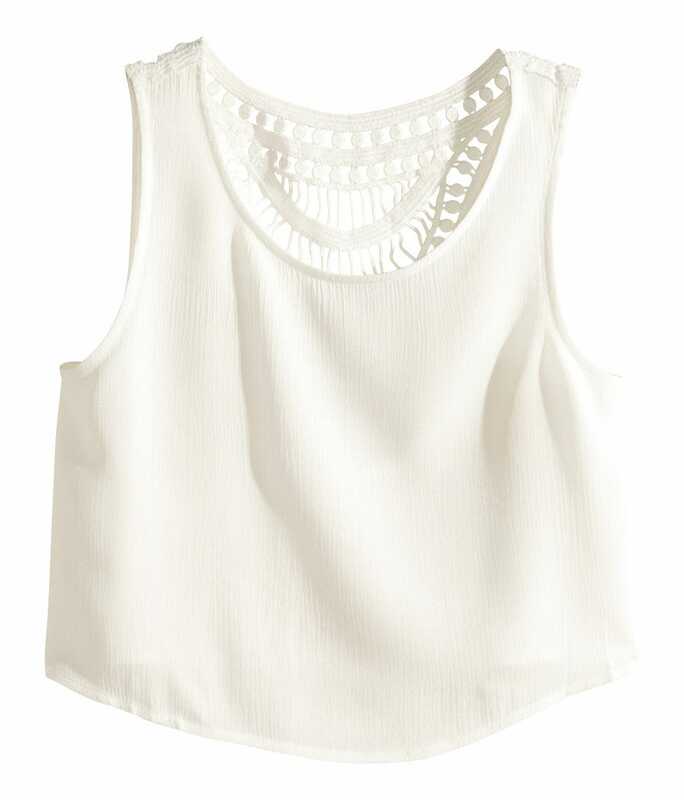 Brace yourself for epically hot desert conditions with airy cutout pieces. Avoid funky tan lines — and worse — by slathering on sunscreen often. 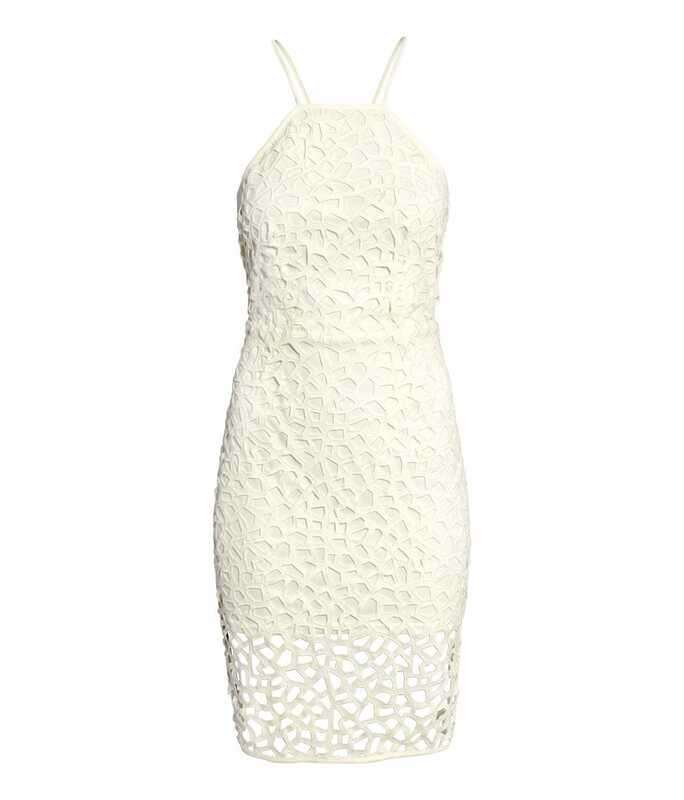 Save this cool playsuit for the after-parties. 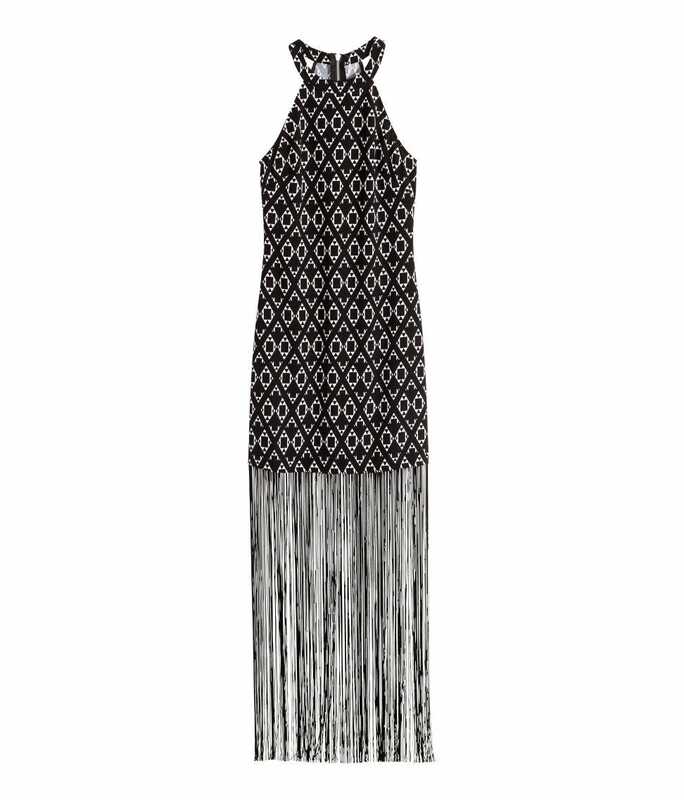 The geometric print and arm fringe are just the right amount of badass. 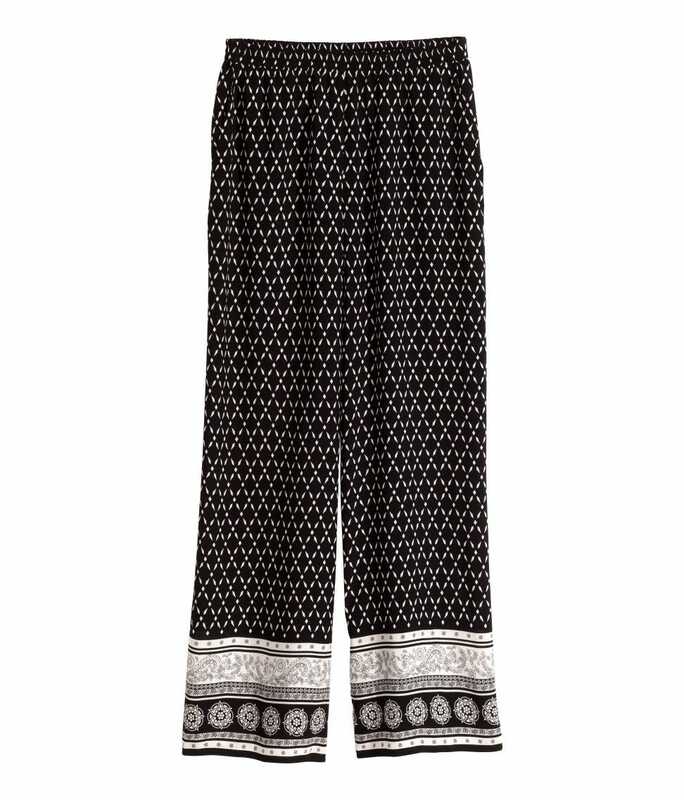 Give denim cutoffs a break in favor of wide-legged trousers you can move in. 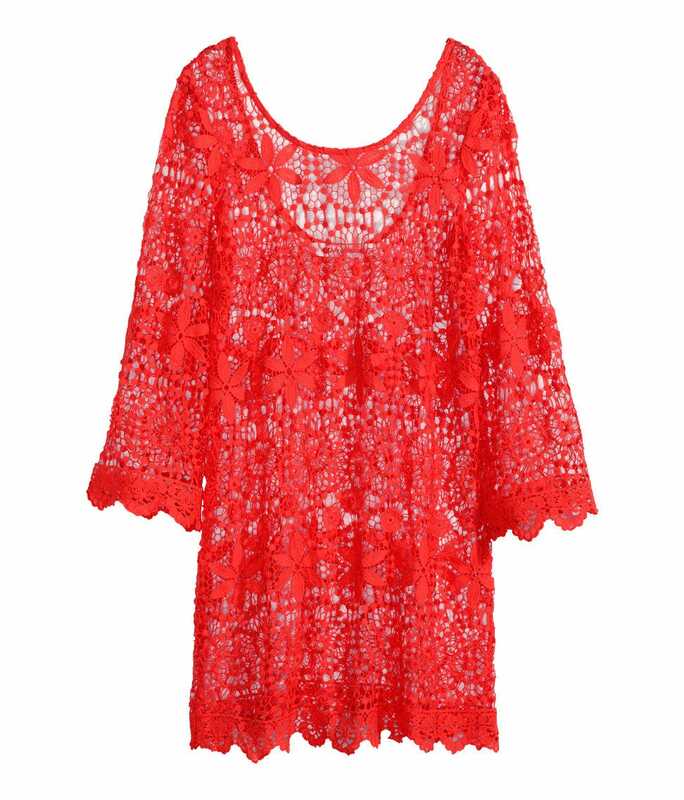 Or, try this orange-red crochet dress that doubles as a stylish cover-up. 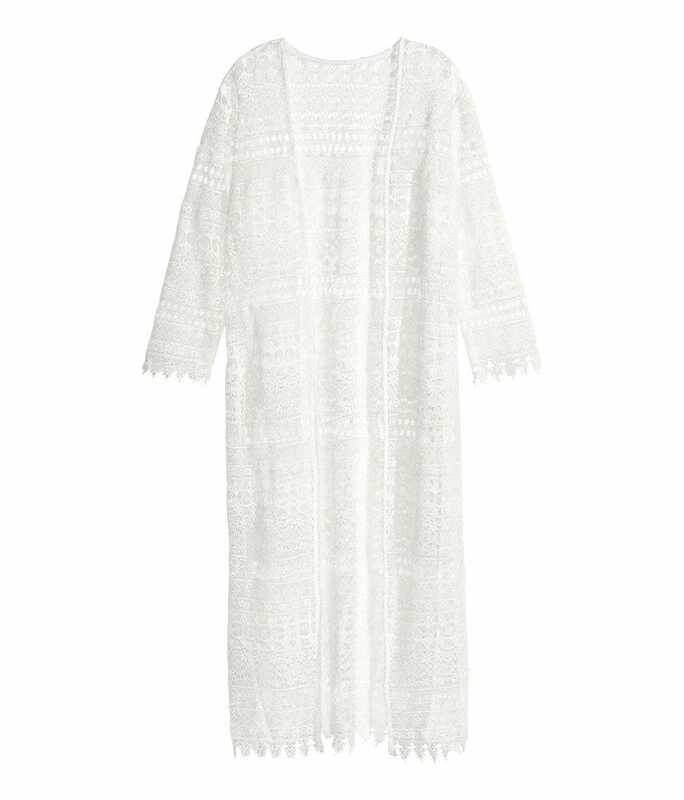 To make white on white really pop, layer different textures, like this embellished dress and lace kaftan duo. 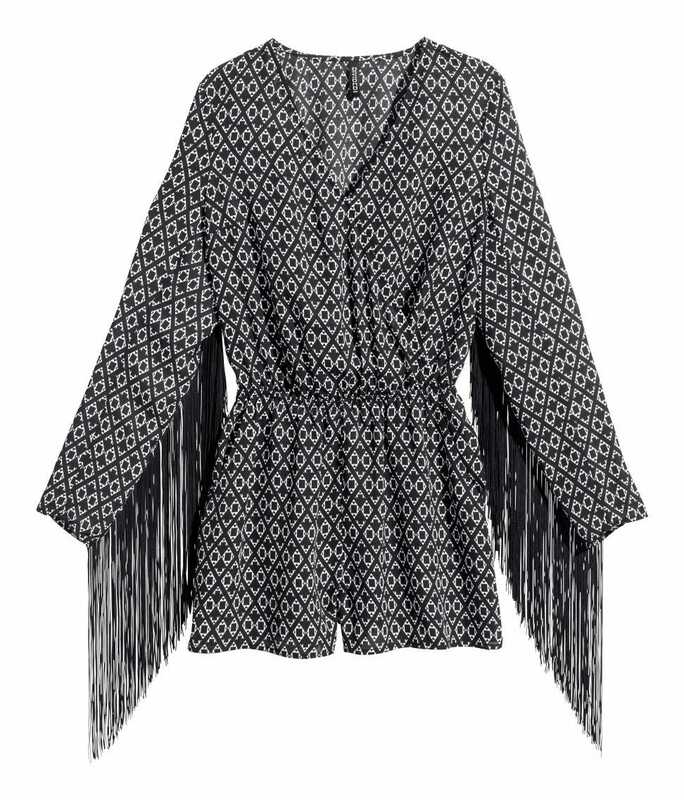 It's impossible not to dance in this insane fringe number, made extra trendy in a black-and-white ikat print. Get the effect of a one-piece with the ease (and less-cumbersome bathroom breaks) of separates.